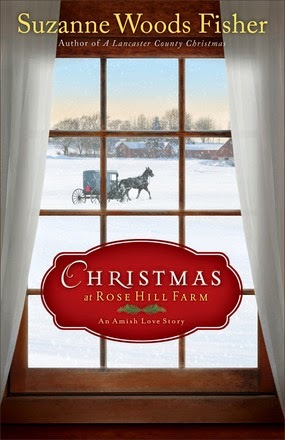 Susan Heim on Writing: Midwinter's Eve Giveaway Hop 2014: Giveaway for Two Hardcover Christmas Novels by Beloved Authors! Midwinter's Eve Giveaway Hop 2014: Giveaway for Two Hardcover Christmas Novels by Beloved Authors! Welcome to the Midwinter's Eve Giveaway Hop! Every participating blog is giving away a book-related item worth $10 or more. For my giveaway, I am offering two beautiful hardcover Christmas-themed books by two of your favorite authors. An empty nest has Ingrid Christiansen dreading the upcoming holidays, but her husband, John, couldn't be more excited about this new season of life. He even has a surprise trip abroad planned. He's sure she'll love it. What's more romantic than Christmas in Paris? Before he can stop her, however, Ingrid agrees to spearhead a major church project. Then their faithful dog, Butterscotch, needs emergency surgery, draining their savings. And then -- because disasters strike in threes -- an unexpected guest arrives, dredging up old hurts. As a beautiful blanket of snow transforms the north woods into a winter wonderland, a deep chill settles over John and Ingrid's marriage. 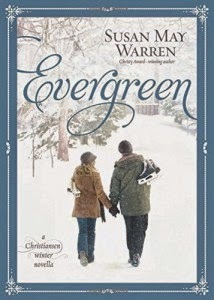 With the holidays fast approaching, their only hope of keeping their love evergreen depends on turning the page on the past and embracing a new chapter of their future. As the history of the lost rose is pieced together, it reminds Bess and Billy -- and Amos, too -- that Christmas truly is the season of miracles. One lucky winner will receive BOTH books shown above. This giveaway is open to U.S. residents only and ends at 11:59 PM EST on December 31, 2014. Enter through the Rafflecopter form below. 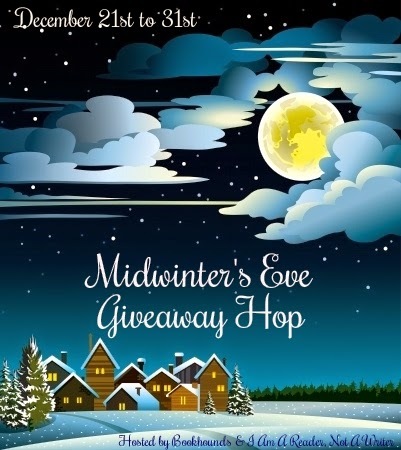 Now hop around to the other blogs participating in the Midwinter's Eve Giveaway Hop for the opportunity to win more great prizes! Disclosure: I received complimentary copies of these books for review, which I am donating for this giveaway. My husband's family does a Yankee swap on Xmas Eve. Really love it. Celebrating the true meaning of Christmas. I love seeing everyones Christmas lights! So pretty. I love spending the holiday's with my son! I love the music! We also enjoy getting out Christmas Eve to drive around town & look at all the lights & displays... Merry Christmas ! ! Acck - please delete previous comment. What I meant to say was: Thank you for participating! My favorite is being with my family and having our christmas traditions. It's so nice. We enjoy baking with the kids. I love the whole thing, but the music the most. I can have music going all day long while I do other things. Although this is my last year, I usually sing in the church choir at midnight mass and all through advent leading up to it, and to the coming of the wise guys which will be celebrated Jan 3 this year. I love when it is over. Watching my grand kids and great grandkids enjoying seeing the lights, all the presents to open, their liitle eyes are all wide and a glow. I love that I get two weeks off from work to spend time with the family! Yay! We enjoy driving around and seeing all the pretty lights and decorations everyone has up. I enjoy getting Christmas cards from friends and relatives I haven't heard from all year. One of my favorite parts of the holiday season is getting together with family and eating some great food. I like just spending time with my family and friends. I enjoy having Christmas Brunch with my grandsons! I love giving and getting presents that you wouldn't normally buy yourself. For me that's usually Starbucks giftcards. I love cooking special holiday meals for our family. My favorite is simply honoring our Lord on the remembrance of His Birthday. God bless! My favorite part of the holidays is getting to celebrate with family and friends! I love Christmas/Holiday/Ugly Sweater parties! My favorite part of the season falls on Christmas Eve. After all the presents have been wrapped and placed under the tree or in stockings, we turn off all the lights except the Christmas tree. We open one present and then watch one or two movies or specials before going to bed. It helps make the stress go away. Thank you for the giveaway! My favorite part of the holiday season is visiting family and friends. Seeing my son and grandchildren, although I've not seen them this season, yet. I love decorating the house and doing lots of holiday baking. This makes it Christmas at our house. Baking Christmas cookies with my kids. I get time off work and truly get to enjoy my family without any distractions. I love the wonderful feelings that are shared throughout the area. People seem more ready to smile and say hello. I love giving gifts at Christmas and seeing all the Christmas lights people put up at their homes. Spending time with the one(s) I love. I love watching holiday movies with my daughter. I love baking and decorating cookies. I love the holiday lights/decor, Christmas carols, and the yummy food. Cooking with my family is love and Christmas. I love Christmas morning with my kids and husband...getting up super early, having a fire in the fireplace and coffee/hot chocolate to drink, playing Christmas music, and watching our kids/teens open their Santa Claus goodies. My favorite part of the holiday season is the combination of family, snow, lights and movies. My favorite part of the holiday is being with family and having fun together. My favorite part of the holiday season is being able to spend with family. Also, being off of work and able to read. My favorite part of the holidays is watching Christmas movies with my son. I love watching Christmas movies and wrapping gifts. During the holidays I enjoy visiting with family and friends. Thanks for the great giveaway. Happy New Year! My favorite part is seeing family. I love opening stocking on Christmas morning and the midnight kiss on new years eve.